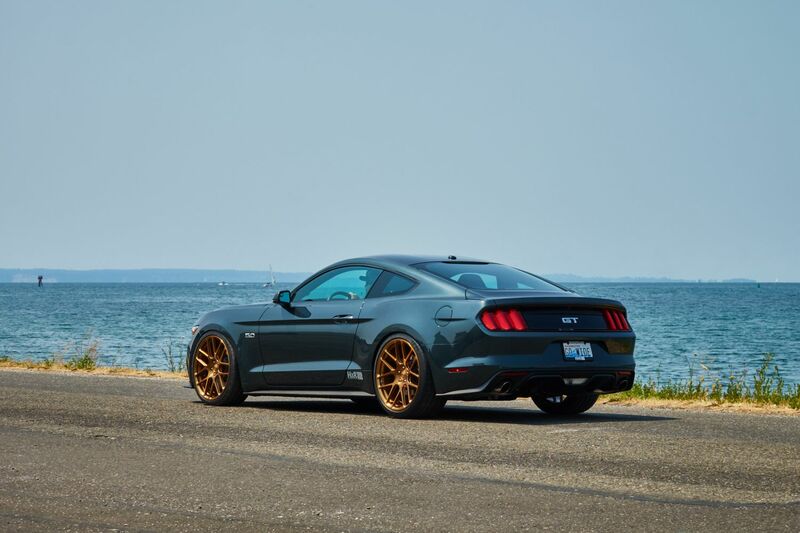 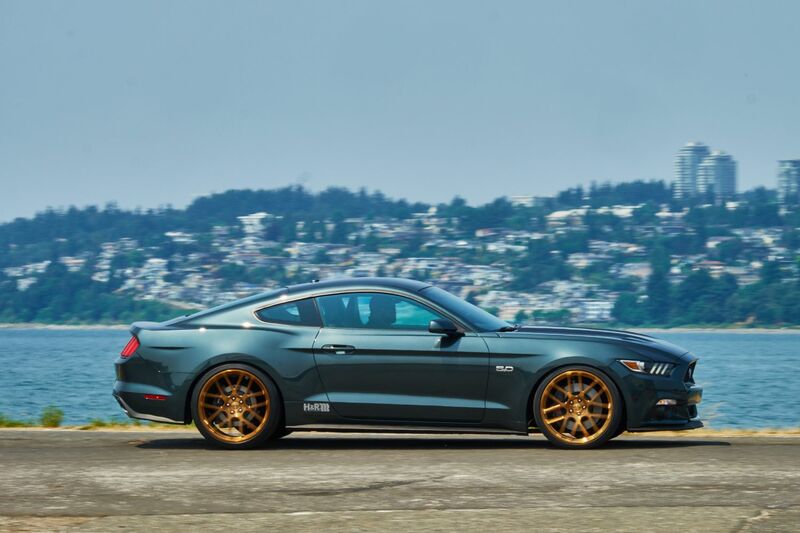 H&R 2015 Mustang GT Premium Fastback | H&R Special Springs, LP. 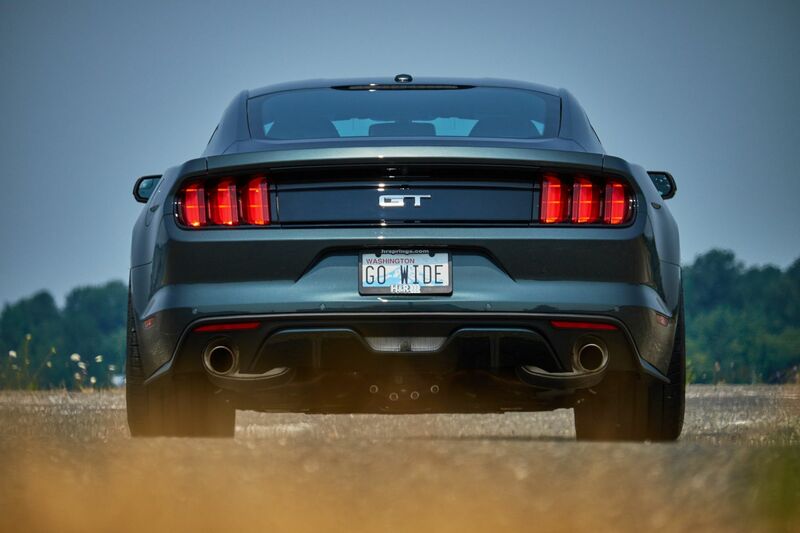 Interstate or Autobahn? 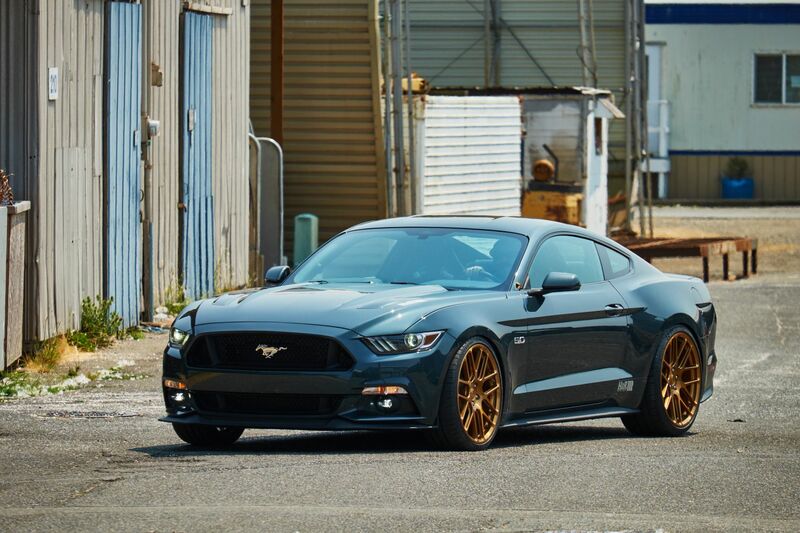 No need to choose with the Mustang project vehicle from H&R. 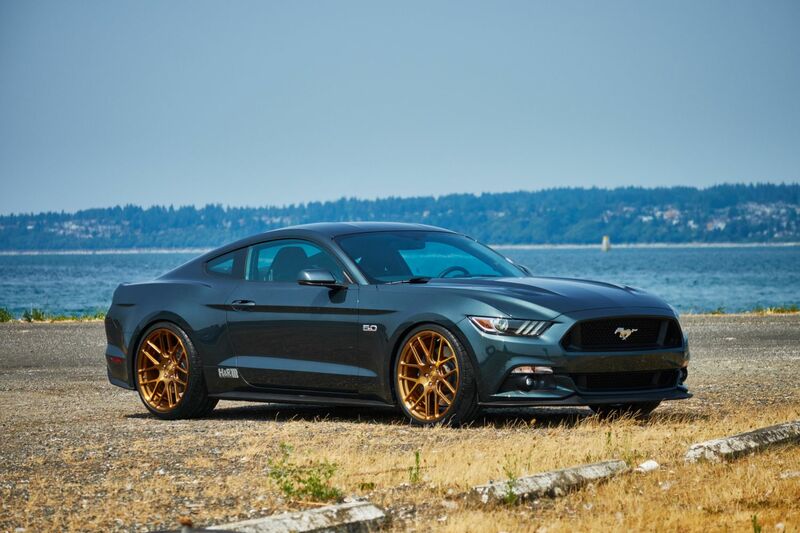 Project builders combined American muscle and European tuning to produce a machine that is at home on almost any road. 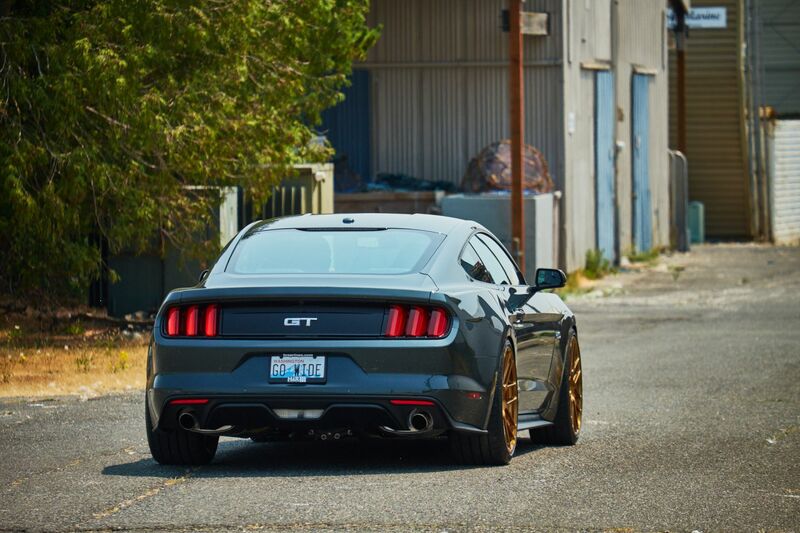 Beginning with the new 2015 Mustang GT Premium Fastback, H&R installed Super Sport Springs to lower the vehicle 1.75” front and rear. 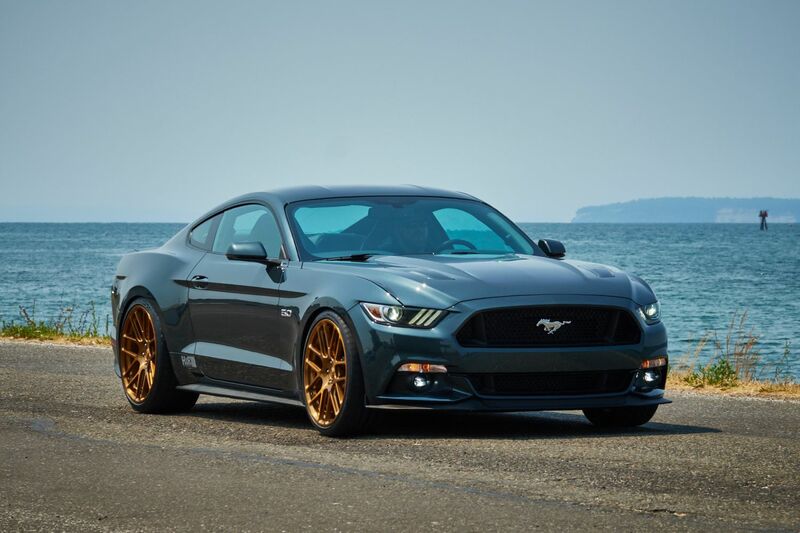 H&R Super Sport Springs feature slightly more lowering that Sport Springs while still maintaining superior ride quality and comfort. 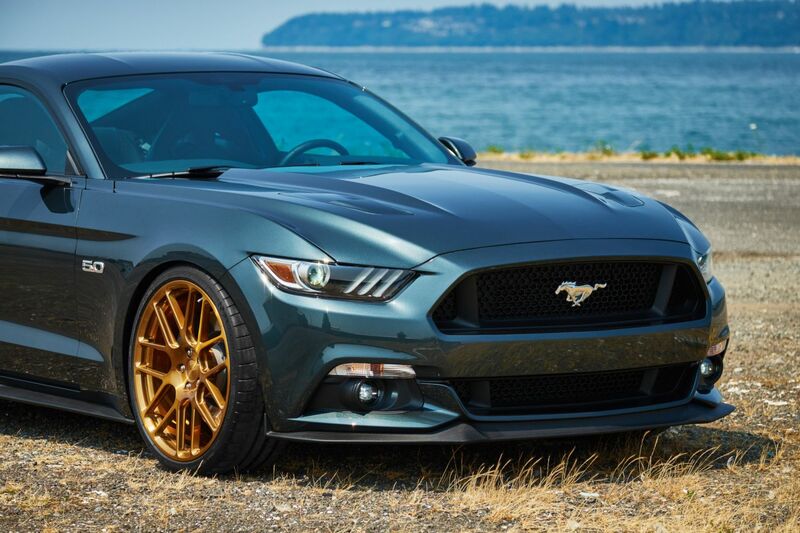 A set of Forgeline SE1 fully-forged one-piece monoblock wheels, which measure 21 x 9” front and 21 x 11” rear, were mounted on the Mustang. 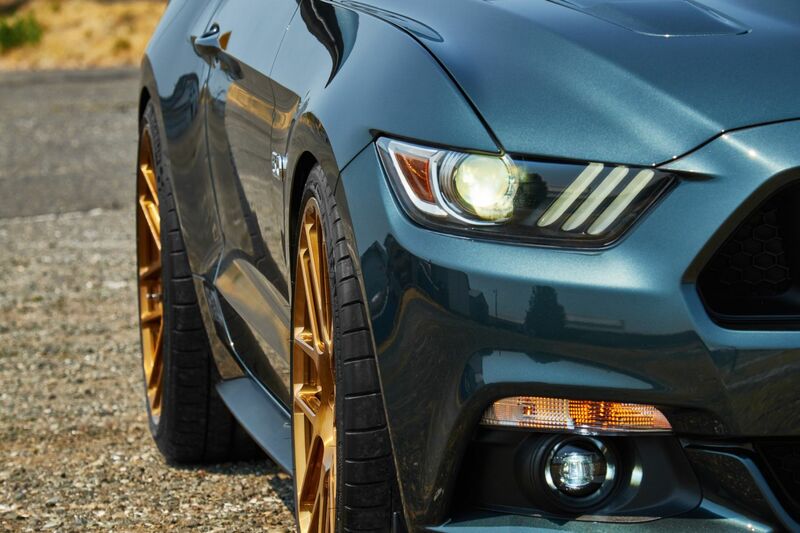 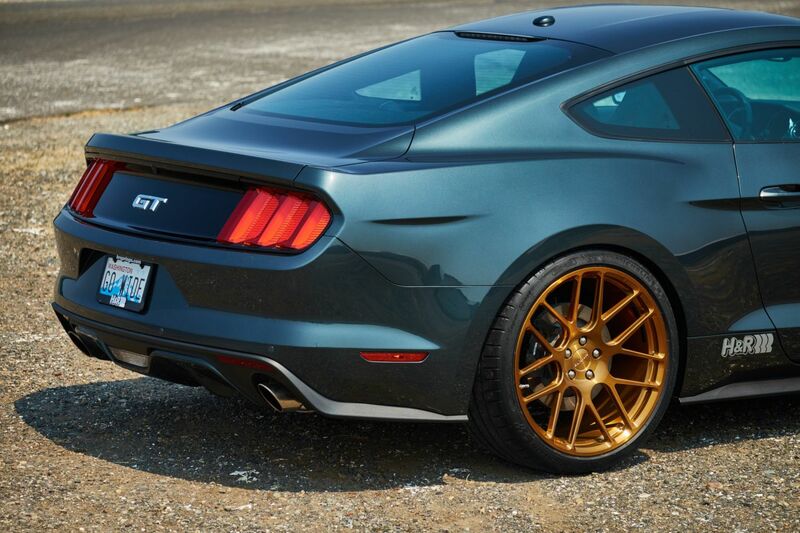 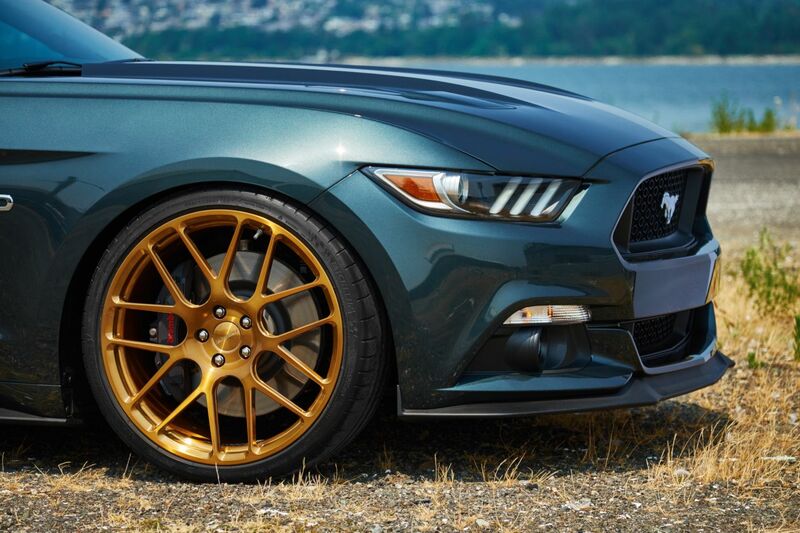 These lightweight wheels are finished in a special tinted gold that pops perfectly against the Guard color of the Mustang. 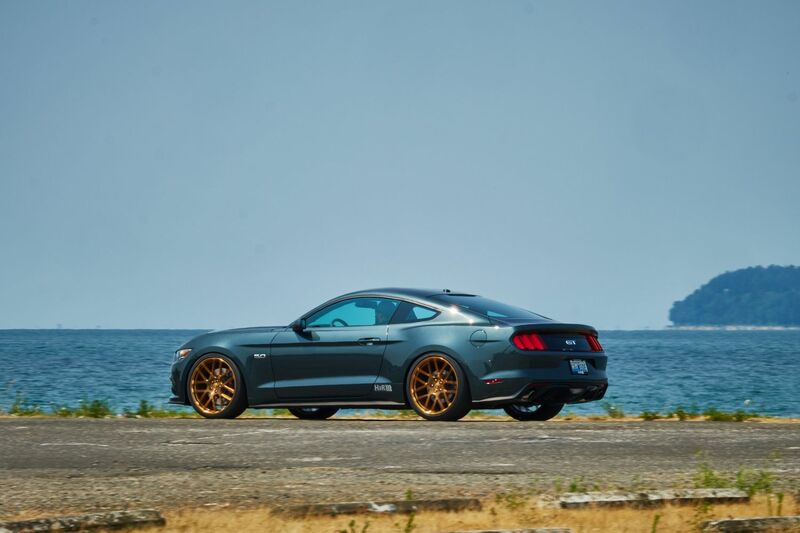 Wrapped around the Forgeline wheels are Michelin Pilot Super Sport tires in sizes 265/30ZR21 front, and 295/30ZR21 rear. 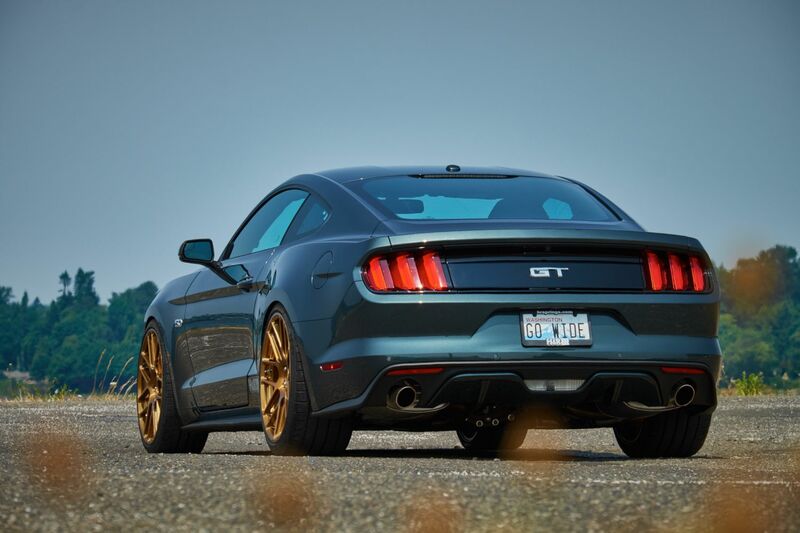 Getting precisely the right offset was achieved through the use of H&R TRAK+® Wheel Spacers.